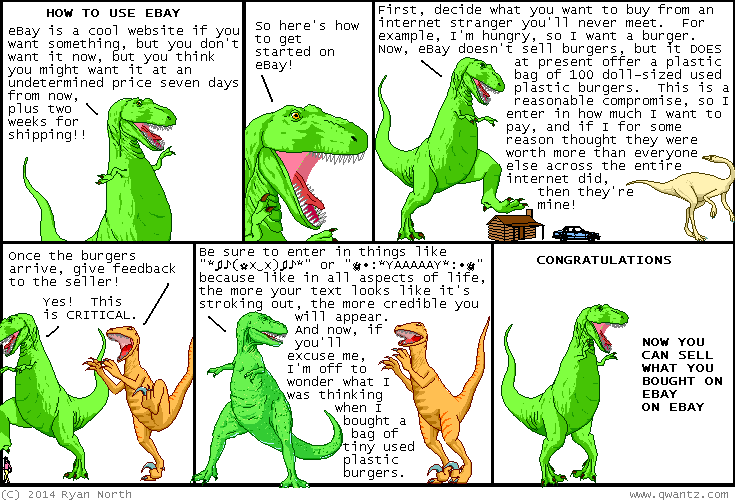 Dinosaur Comics - October 16th, 2014 - awesome fun times! –Hah! I mean, "some of THOSE books of quotations"! October 16th, 2014: As a reward for reading down here, here is a blog with pictures of my dog!! One year ago today: hello and welcome to fan-spider, the #2 talk show for fans of spider-man.